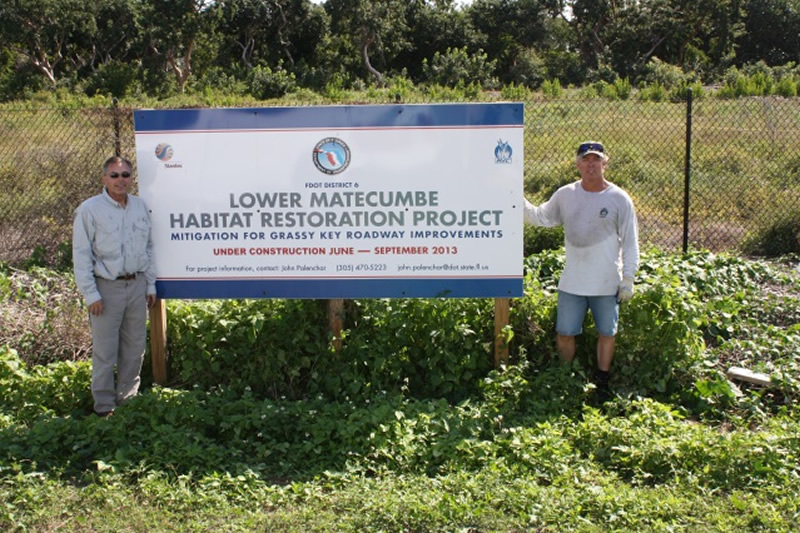 Project size: 12,557 native plants in a 1.93 acre mangrove mitigation area with an adjacent 0.27 acre upland buffer. 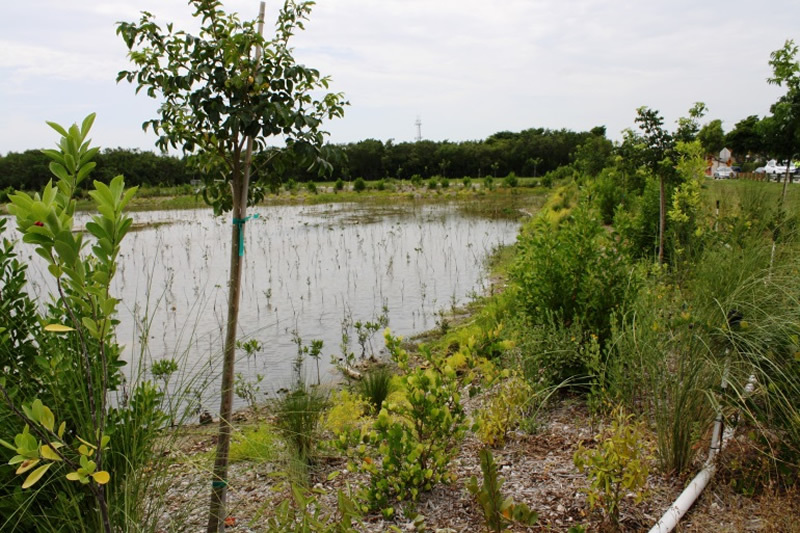 Project purpose: The mitigation site was constructed for off-site mangrove mitigation credits for future FDOT transportation projects within Broward County. 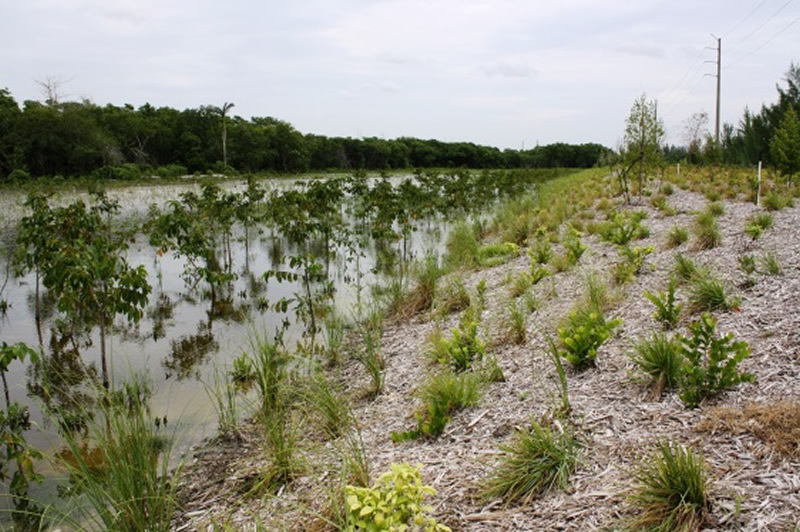 Everglades Restoration and Land Clearing, Inc. (ERLC) constructed a 2.2 acre mitigation site in accordance with the permitted mitigation plan including 1.93 acres of mangrove area and a 0.27 acre upland buffer area. ERLC worked under the direction of Stantec and worked through several challenges. ERLC identified and provided solutions for unforeseen site conditions such as buried trash and compromised tidal flushing. The site required MOT and guardrail removal to gain site access. FDOT silt fence was installed and maintained during the length of the project. Aquatic Vegetation Control, Inc. (AVC) planted the 2.2 acre mitigation site with 12,557 plants according to the as built survey. The Stantec/AVC team worked together to maximize the amount of mitigation credits. The plantings ranged from 1 gallon to 7 gallon material grown at the AVC nursery (Martin County Farms) and other partner nurseries. Temporary irrigation and mulch were installed in the 0.27 acre upland buffer. The project was maintained by AVC to insure a successful outcome.